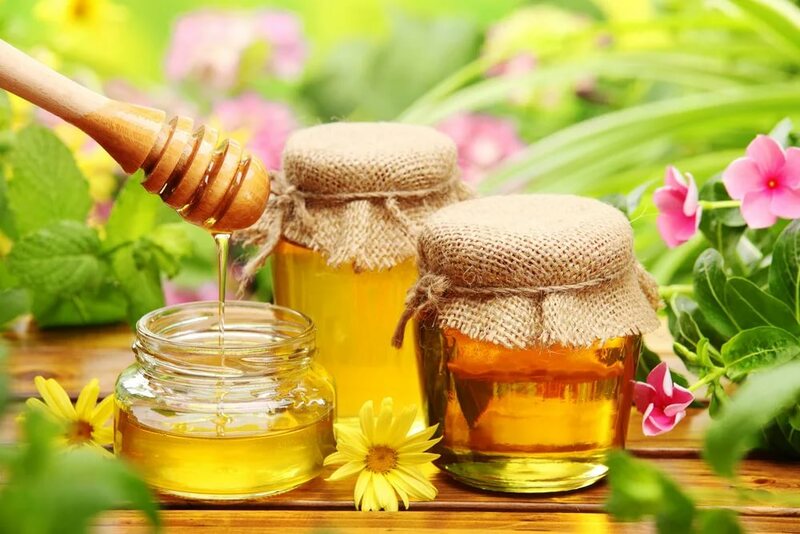 Honey is a sweet, viscous food substance produced by bees. It is really a healthy food that should be in your kitchen right now. Liquid honey is basically honey’s natural form: when produced by the bees and stored in the comb in the hive, honey is in a liquid state. Creamed Honey is a smooth creamy product that spreads like butter. Nothing is added to creamed honey either; the only difference is in the packing technique. To produce creamed honey, one first takes a small amount of already creamed honey, called “seed honey”. This seed honey is mixed with liquid honey, churned, and cooled on our packing line. The honey is then packed in containers and stored in a cool area for a few days. This process creates a very smooth, even granulation effect throughout the honey, giving it a more solid, or a “creamed” texture (NOTE: there is no cream in creamed honey). Honey is great for baking, cooking, or mixing with teas, coffees, or any other beverage, creamed honey is especially wonderful on toasts and breads. Discover the health benefits of Russian Siberian Natural Creamed Spread Honey, one of the oldest sweeteners on earth. The unique blend of honey and salubrious berries was developed in Food Institute in Russia. This honey blend was made based on old recipes, owened by Siberian medicaster who had kept them in secret.